India vs China Highlights: India and China settled for a goalless draw in a football friendly match on Saturday in Suzhou. India vs China Highlights: India held China to a goalless draw in a football friendly match on Saturday as the two sides played for the first time in 21 years in Suzhou. The two sides began well in front of a packed stadium but ended the first half goalless. Both the Asian teams created multiple opportunities and showed intent but could not convert their chances. India’s standout performer in the first half was captain Sandesh Jhingan, who warded off danger for the visitors by ensuring the Chinese attackers fail to convert. Gurpreet Singh Sandhu was the visitors’ saviour in the second half. India vs China Live Score: Stephen Constantine's side look for their first win against China. 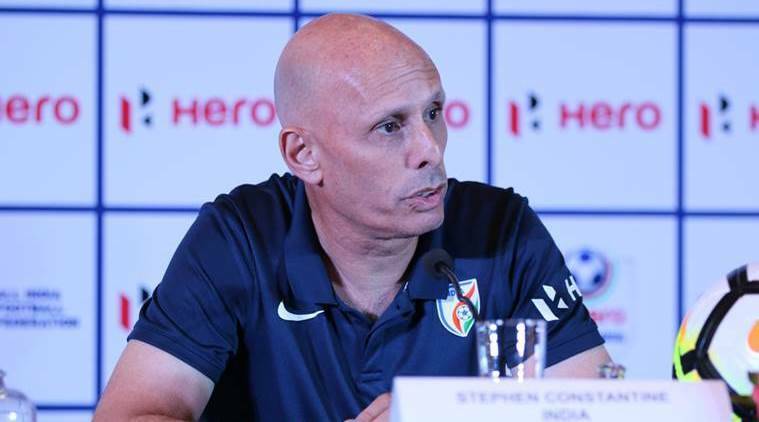 India vs China Live Football Score Live Streaming: India might be touted as underdogs in the much-anticipated football friendly against China here on Saturday, but national coach Stephen Constantine is confident of giving a good fight to their higher-ranked opponents. "The conditions are ideal and it's going to be a crucial game for us before the Asian Cup. It's really going to be a great football contest for all of us and the entire team is looking forward to it," Constantine said. "The U-23 team has performed quite well recently and it can be the perfect opportunity for them. Playing against China in this fantastic stadium would be a lesson for everyone."